The Minnesota/Dakotas Chapter of the American Immigration Lawyers Association (AILA) is pleased to announce that it has selected Olga Zoltai and Victor Contreras to receive its 2012 Immigrant of Distinction Award. The immigrant of Distinction Award honors immigrants who have made substantial contributions to their communities or professions through exceptional leadership, high achievement, or moral courage. Olga Zoltai has spent over 50 years in public service, helping refugees and other immigrants settle in Minnesota. ... Among the many thousands of immigrants she assisted was the first Hmong immigrant to settle in Minnesota, but it was her tireless activity in seeing the “impossible” cases through to success that her community and peers found so remarkable, as illustrated by a Star Tribune article reporting her retirement in 1993 entitled “Area Immigrants Are Soon To Lose Their Patron Saint.” She also has been active with humanitarian projects with the Unitarian Church, specifically helping repressed villages in Transylvania and helping to establish sustainable agriculture there. A refugee herself, Ms. Zoltai escaped war-torn Hungary in 1945, fleeing to Austria where she met her future husband, Tibor. After several years they ended up in Alberta, Canada, working the sugar beet fields as indentured agricultural workers. After Tibor was later accepted into and then finished a graduate program at MIT, they finally landed in Minnesota in 1959. Tibor, a distinguished immigrant in his own right, passed away in 2003. In addition to serving as matriarch of her family of three children and six grandchildren, at 80 years old Ms. Zoltai remains an active volunteer in service to refugees and the underprivileged, most recently helping illiterate girls and repressed agricultural workers in India. "The lady who's activities are not entirely listed in the short article:Olga was the first person I met in 1988 when my family arrived to the Mineapolis airport searching for a new home, a new country, help and friends. We found all these at Olga Zoltai's family; they provided housing, food and help in our paperwork, doctor's visit and much more for a family with no language skills, very little money and arrived with two suitcases in seeking freedom in America. In that year my family was the 3rd family helped by the Zoltais and enjoyed their generosity. What did they gain from helping people? Sometimes headaches, problems, and trouble and maybe sometimes a "thank you". During the 80's, 90's the Zoltai family helped new immigrants with not only material help, but solving their legal, social, educational and even work related problems. 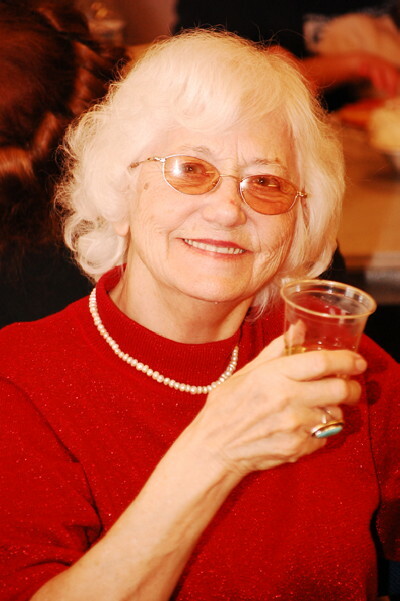 Olga Zoltai is long time member of the Minnesota Hungarians. She was President of our organization in the late 1970’s. She has been part of our projects, programs, events, all activities, helping with ideas, working with teams in preparations. She worked together with her husband, Prof. Tibor Zoltai during his presidency in the middle 1990’s. 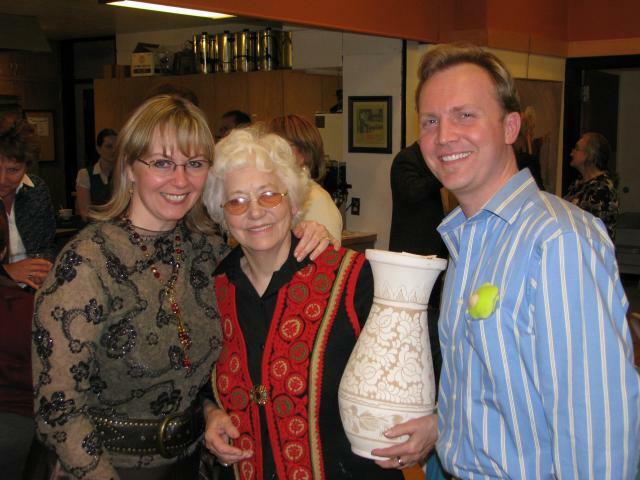 Olga and Tibor had graciously opened their house for many years to the MH events and Board meetings. 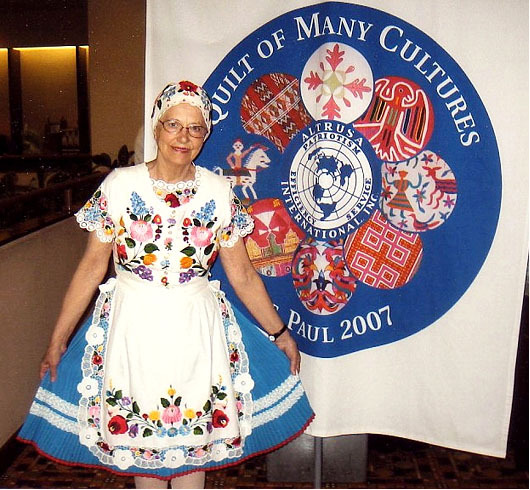 Olga has been a member of the Unity Church Unitarian in St.Paul MN and for years as a board member, today as a member continuously working together with the Church and the Pilgrimages program to Transylvania.